Fall is a time of transition. Time to give thanks… a time for family. It’s also Football season!!! 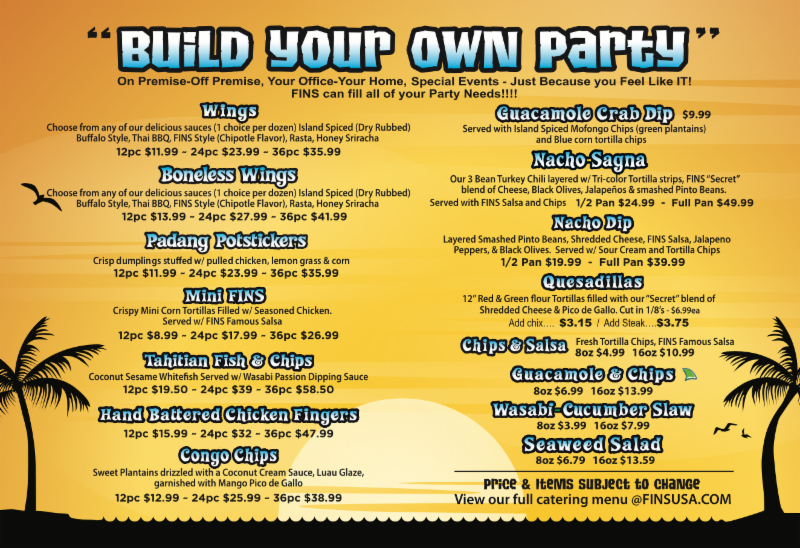 While you relax on the couch with the fam, let FINS cater your Sunday FUNDAY! Don’t LEAF us behind just because summer has ended… We have plenty of new fall specials for you to come in and try!! YOU CAN ORDER FINS ONLINE – EVEN ON YOUR PHONE! VISIT FINSUSA.COM TO PLACE AN ORDER! BLOW OUT SALE!!!!!!!!!! 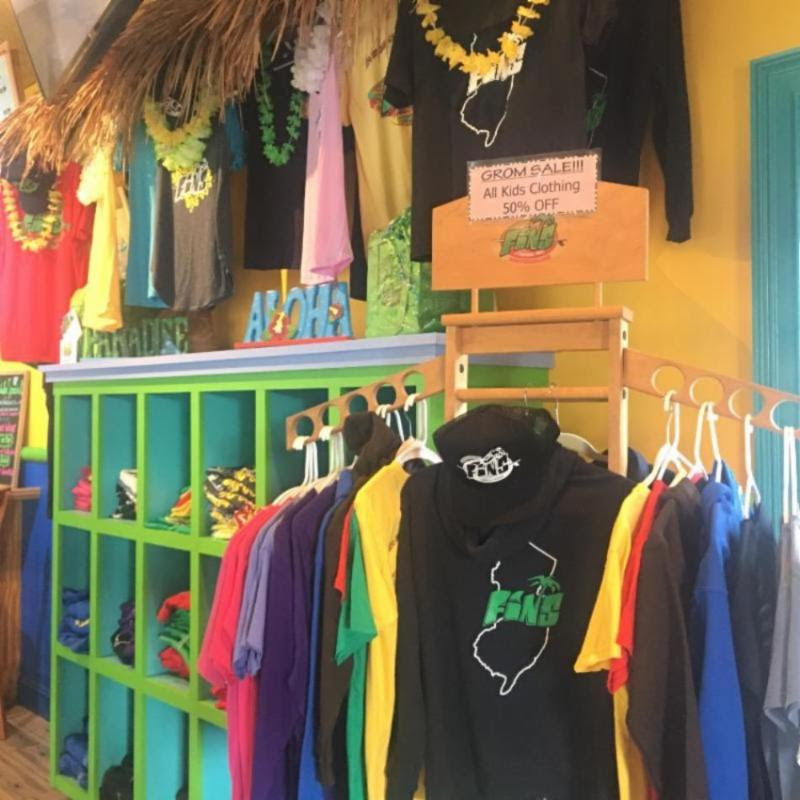 Come stock up on ALL KIDS GROM GEAR!!! ALL 50% OFF WHILE SUPPLIES LAST! ALL LOCATIONS! DON’T DROP THE BALL! 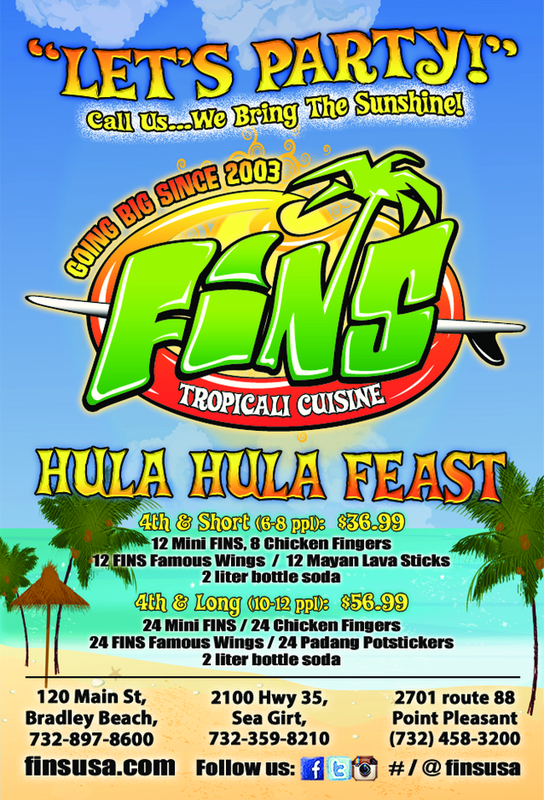 KICK YOUR GAME DAY UP A NOTCH WITH SOME ISLAND VIBES FROM FINS! 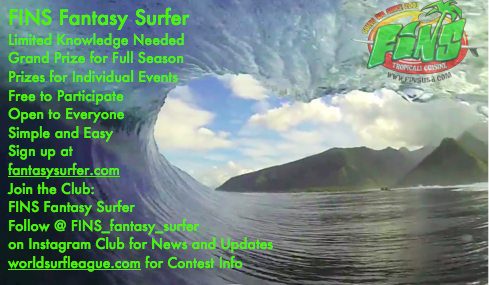 CLICK for World Surf League events & highlights!!! 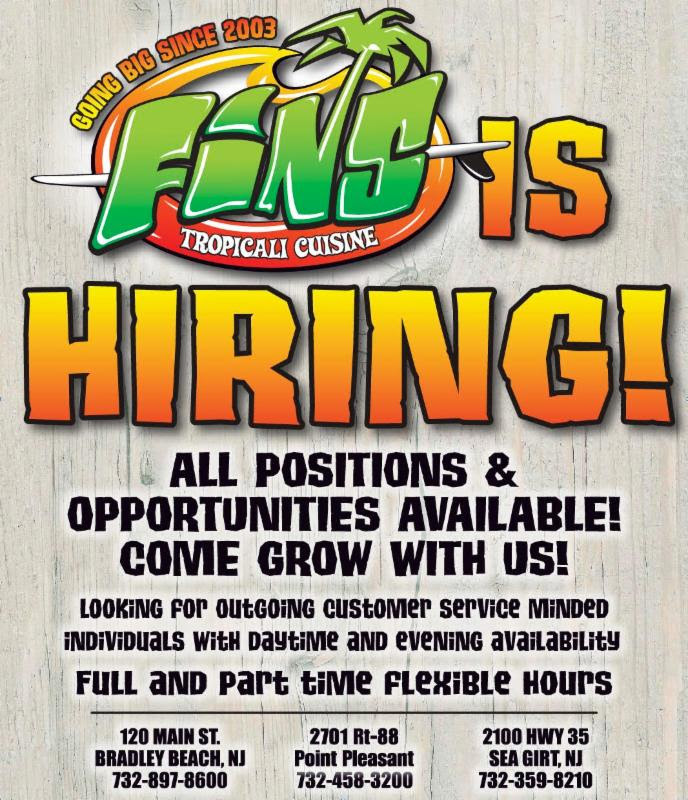 FINS is currently seeking counter staff for our FALL/WINTER season – Fill out an application in store ASAP! Buy 1 Soup or Turkey Chili, Get 1 Half OFF!! Keep up with your local FINS! Get$5 FINS Bucksto use any time! 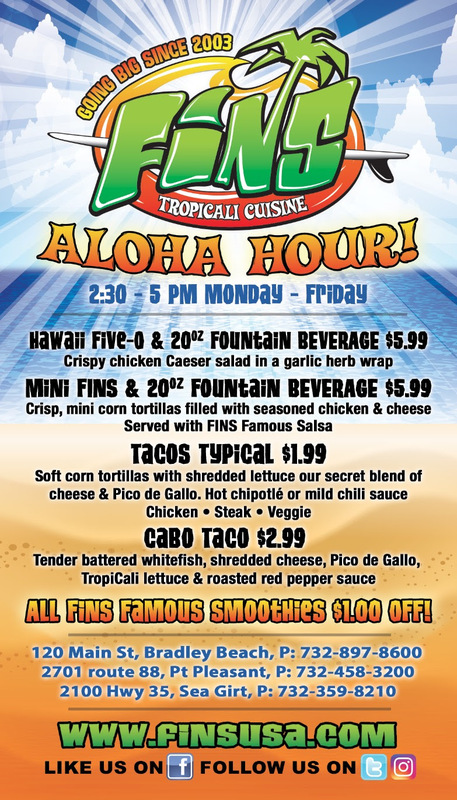 Call up your FINS to receive a Free Lunch! 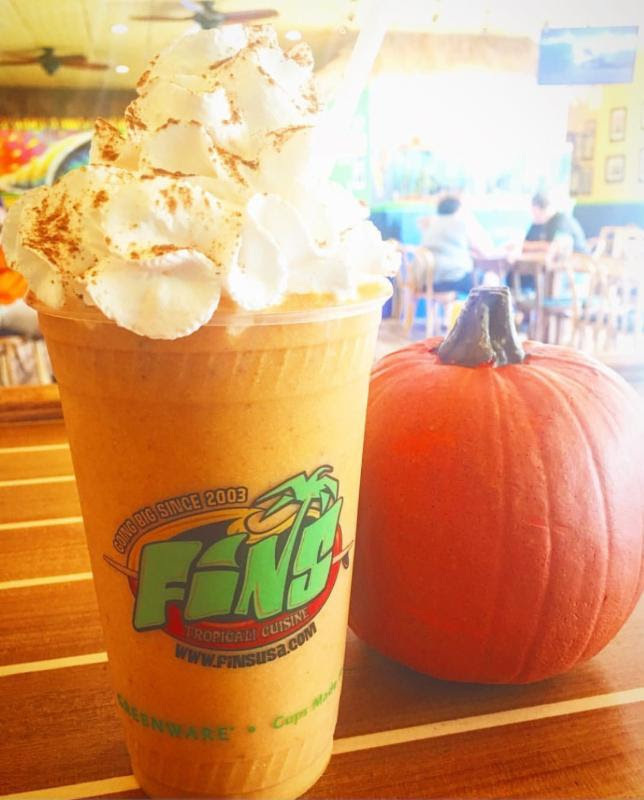 Your favorite Fall treat through a straw! Delicious Pumpkin Blondie Bites with white chocolate chips, nutmeg and walnuts made by David’s Cookies! or as always 15% off your order!!! Find your points balance on the bottom of your receipt! #FINSUSA @finsusa on social media!